For water as it was meant to beâ€¦fresh, clean, pure. At Clear Choice, we donâ€™t just sell you a water filtration system, we help you take care of it. With certified equipment repacking and repair, monthly water testing, quality water testing, water pumps, installation and well-drilling for all water filtration systems. 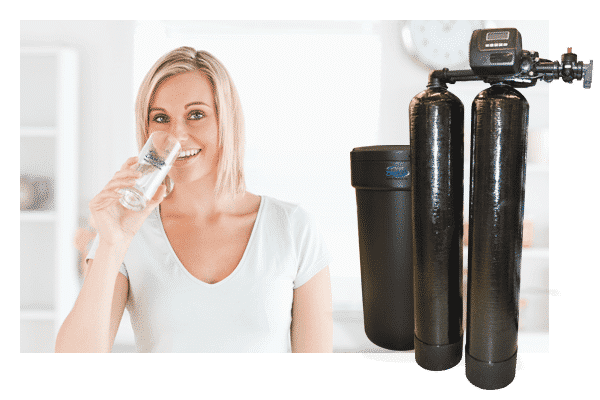 The certified programs provide us with the knowledge and the training necessary to provide you and your family with the latest most advanced water filtration equipment available which will supply water as it was meant to beâ€¦fresh, clean, pure. 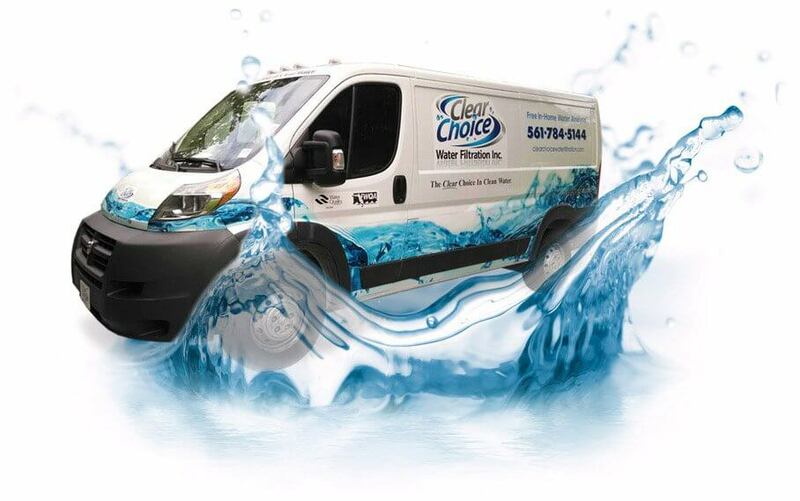 Clear Choice is family owned and operated, we donâ€™t just sell you a unit and walk away; weâ€™re there when you need us. You donâ€™t need a water cooler, you want clean fresh bottleless drinking water from any faucet in your house. 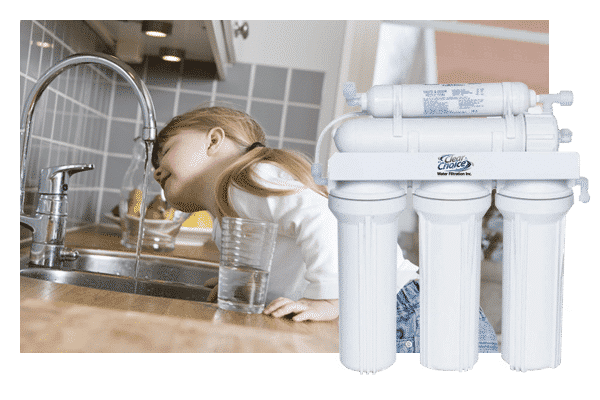 Our product line includes water softeners, carbon filtration, whole house reverse osmosis, UV, aeration, chemical-free sulfur filtration, chemical-free iron filtration, under sink reverse osmosis and commercial systems. We repair most major brands of equipment from water pump installation and repair, from Carbon filtration sales and service, water softener sales and service to a Carbon Filter, we have everything you need with our trained technicians to come to your home. We even have Well Drilling-Residential and Iron Filter rebidding available. Contact a salesperson today for more information. 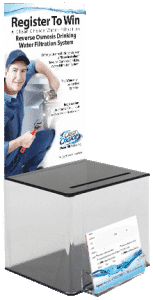 Complete and submit the entry form to win a â€œFree Installedâ€ Under Sink Reverse Osmosis Drinking Water System. 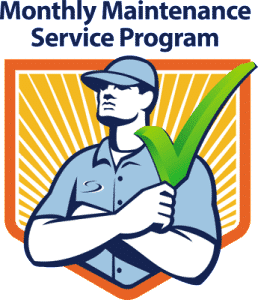 Complete monthly maintenance service program sign-up today! Every day you use water, gallons of it. You drink it, cook with it and bathe in it, but how often do you have it checked for purity? Is it clear or cloudy? Does it contain particles of sediment or a high level of iron? Does it leave a metal taste in your mouth? Does it all too often have the smell of rotten eggs? Answer yes to any of these questions, and you are consuming water that may not be as pure as you think. 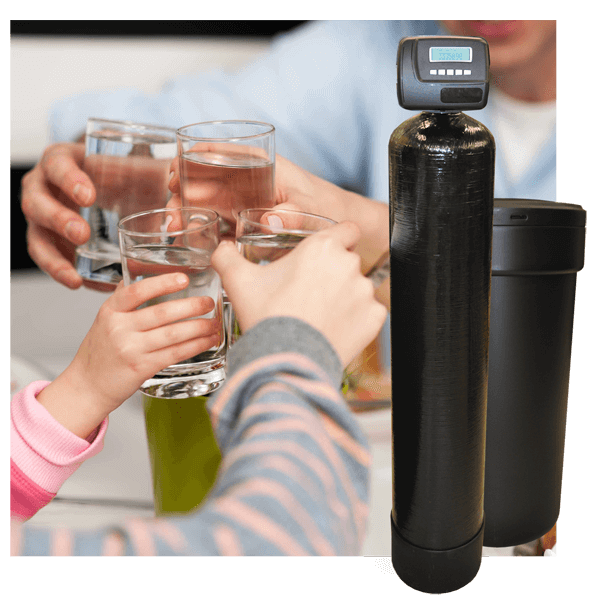 in-home water quality analysis from the Clear Choice Water Filtration Experts. We know water, and we know how to improve the purity of your water by removing contaminants such as iron, sulfur, hardness, and sediment just to name a few. We donâ€™t guess at the pH balance of your water or sell you a one-unit-fits-all filtration system. We come to your home, evaluate your needs, test your water quality and suggest only the filtration system best suited for your individual needs. 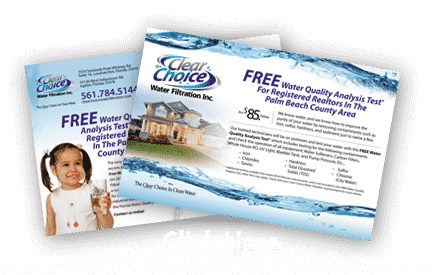 Clear Choice Water Filtration Systems are built using components certified by the Water Quality Association (WQA.ORG) throughout Florida and South Florida. * Additional testing available that meets VA & FHA loan requirements, and is not included in this FREE Water Quality Analysis Test, other fees may apply. 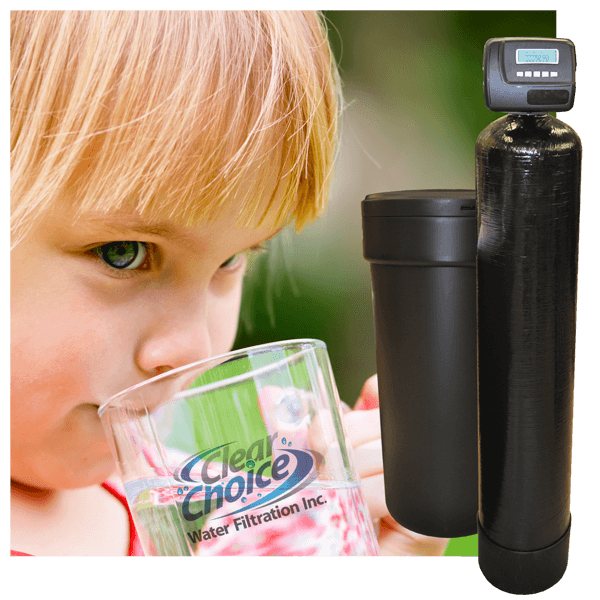 Check with your Clear Choice Water Filtration representative for more details. in your familyâ€™s quality of life, in the water you drink, the coffee you brew, the food you prepare, and even the condition of your skin and hair. Choosing a one size fits all system is not the best choice for most families. A system that is too small to meet your water demands will not be able to filter the water effectively. … that exceeds most bottled water quality! … for only pennies a gallon. … right at your fingertips. … for ice and prepared beverages. We have FHA/VA State Certified Water Testing available, just ask our salesperson about our In home water analysis today. 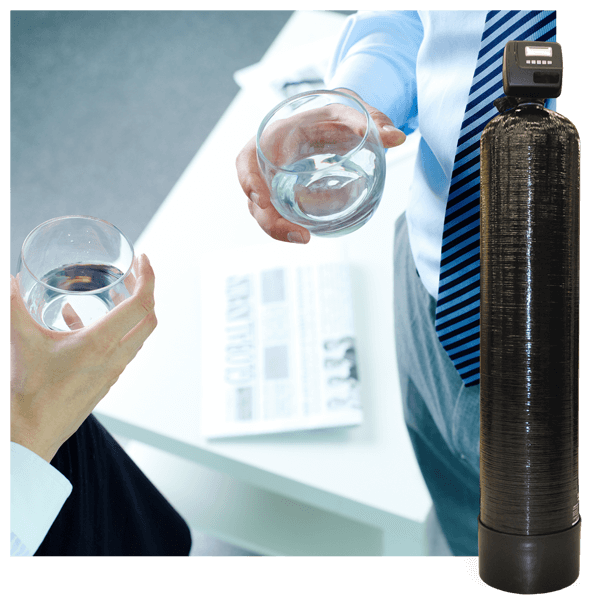 Clear Choice Water Filtration will not share any personal information with any third parties under any circumstances.